Universal Fat Burners - Easy To Swallow Tablets! Chromium Picolinate And L-Carnitine Enhanced Lipotropic! Sometimes, you don´t want all the thermogenic fat burners - the stimulants like synephrine and caffeine. Maybe you´re a natural bodybuilder who wants to avoid these ingredients. 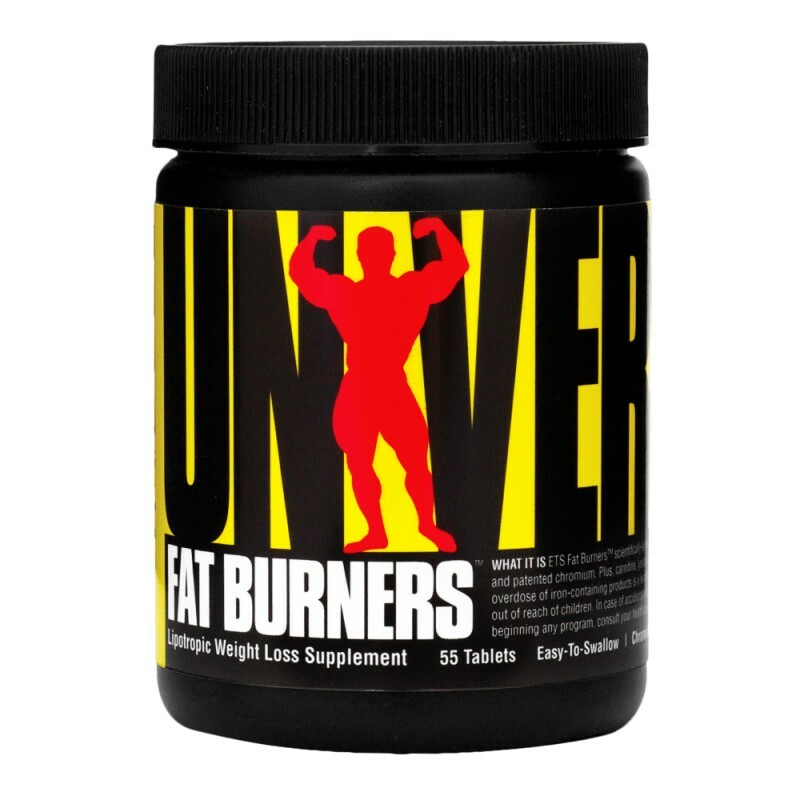 Whatever the reason, Fat Burners and Easy-To-Swallow (ETS) Fat Burners have been made especially for you. Manufactured in a facility that processes milk, soy, egg and peanuts. Dicalcium Phosphate, Whey, Stearic Acid, Silicon Dioxide, Magnesium Stearate, Pharmaceutical Glaze. Suitable for vegetarian. As a dietary supplement, take two (2) tablets with 12 oz (350 mL) of your favorite beverage. An additional 2 tablets may be taken prior to exercise. Use in conjunction with a sensible, low fat diet. Do not exceed 4 capsules per day. Consult a physician prior to use if you have any medical condition. This product is not intended to diagnose, treat, cure, or prevent any disease. Accidental overdose of iron-containing products is a leading cause of fatal poisoning in children under 6. In case of accidental overdose, call doctor or poison control center immediately. Keep out of reach of children. Store in a cool, dry place. Suitable for vegetarian.